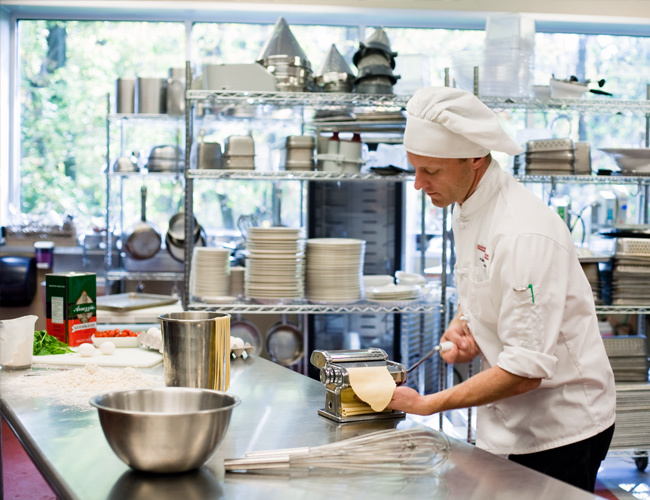 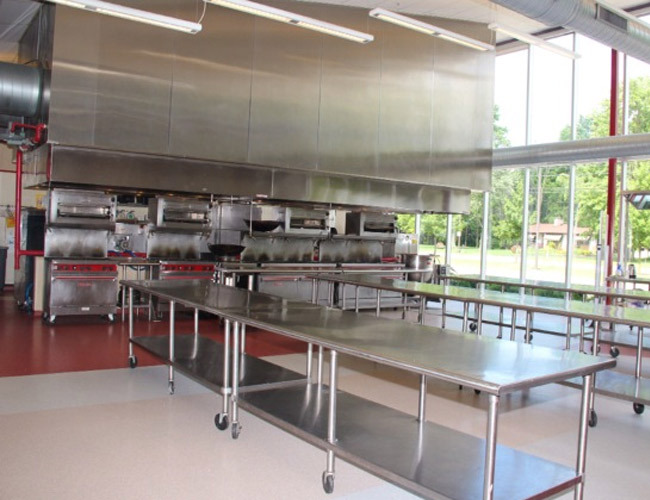 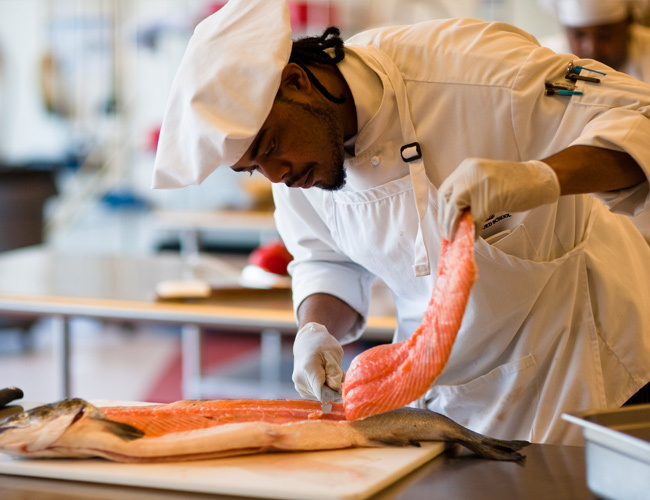 The Columbus Culinary Institute was carefully designed and constructed to support hands-on learning and to foster a team environment, with our chef instructors as the leaders. 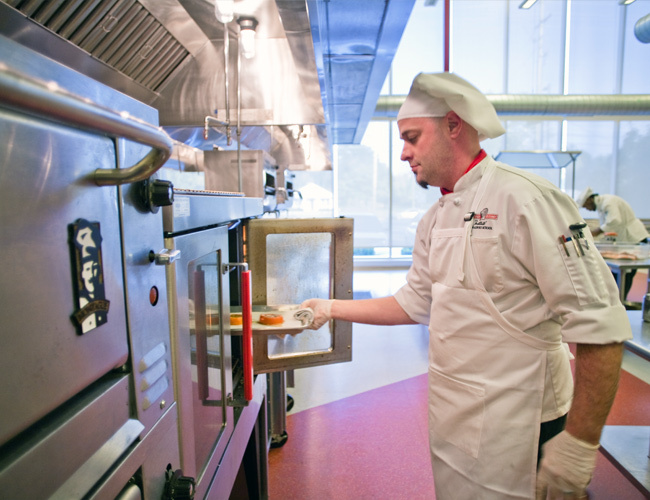 Visit the Columbus Culinary Institute and this is the scene you’ll see playing out frequently in our student kitchens: A steak on the open grill sizzles while the smell of roasted root vegetables drifts through the kitchen. 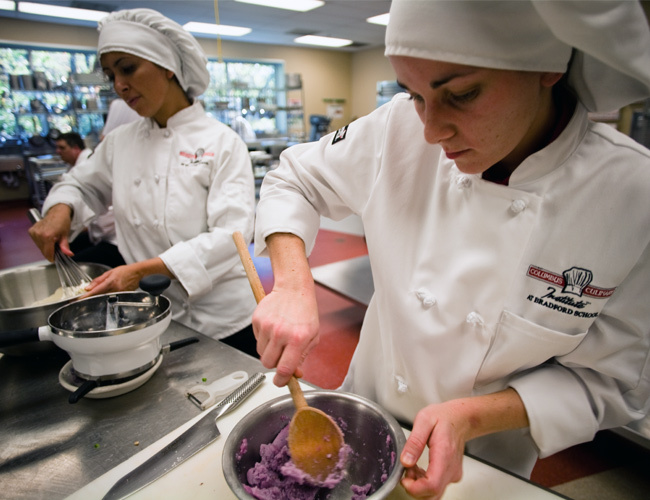 The whir of a blender harmonizes with the excited voices of culinary students working together to finalize their plates before the tasting begins. 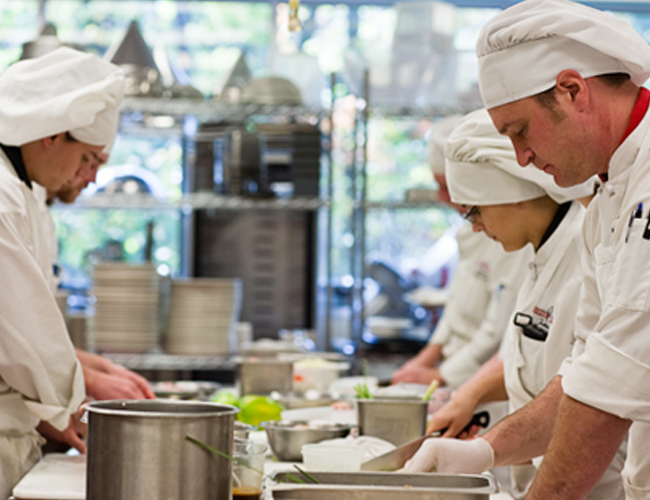 From the beginning of the program, students spend up to 3 hours a day in the kitchen observing, learning, and doing in one of our student kitchens. 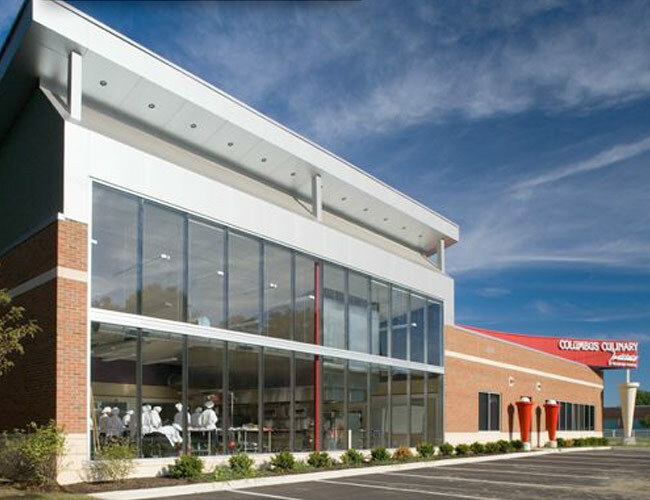 Columbus Culinary houses 5 working kitchens, which were designed to be as close to a real-life setting as possible and to simulate what working in a kitchen with a team of chefs will be like. 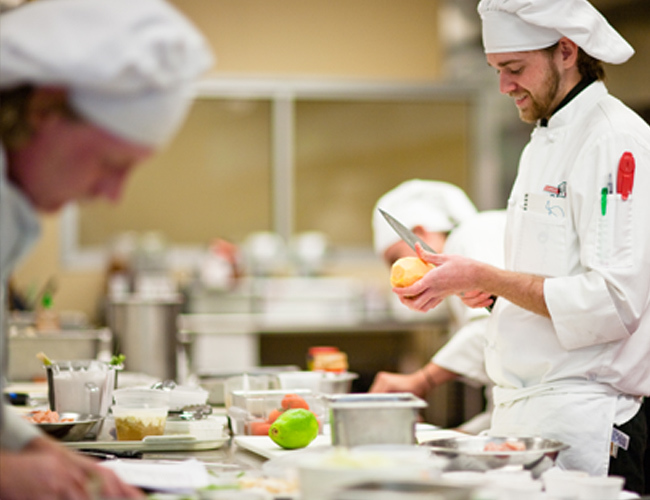 Even chefs don’t spend all of their time in the kitchen, which is why the Columbus Culinary Institute also teaches culinary students the business and management sides of cooking. 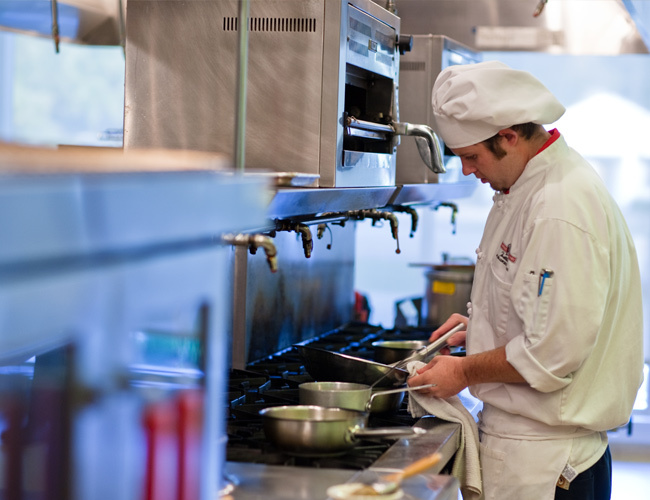 And, because no one can run a restaurant alone, you’ll learn important employee management skills, dining room service, and management and safety procedures. 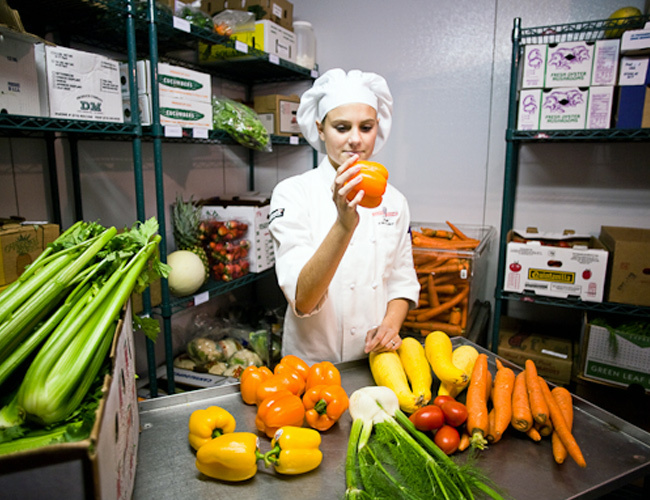 Our campus also houses a student resource library, student lounges, and student housing. 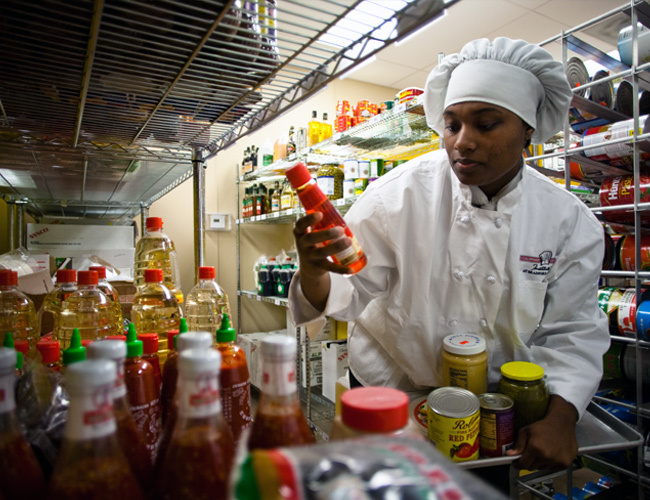 Learn more about our other student resources and ways that we help our students succeed. 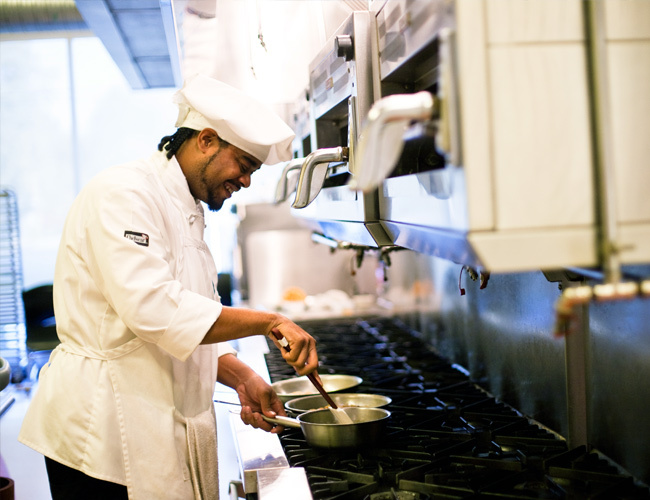 See, hear, and smell what’s going on in the kitchens for yourself by scheduling a visit!